Winning bridge is all about asking yourself the right questions as the hand unfolds at the table. A genuine effort to detect what is going on round the table will lead to better results more often than not. The hand that features below came up in a local tournament in Mumbai and surprisingly, even top-flight experts failed to spot the clue to the winning line. Playing Precision, with neither side vulnerable, South got the ball rolling with 1NT. After his partner made the transfer to spades, he found himself at the wheel in a contract of 4♠. West led the 7 of clubs to his partner’s Ace. After a brief pause, East chose to return the Queen of diamonds. Did something take place at trick one to get your antenna up? Have you figured out who holds ♣K? If it’s West, what has provoked him to under-lead from a suit headed by King and little else? Or has East made a deliberate false-card? Possibly, West led from 7x and East holds AK9xx. In that case, why did he not continue with King and a third club? The only reason is that East holds the ♠K singleton! Or could West have led from 97xxx with East holding ♣AK doubleton? To get to the bottom of this strange play at trick one, the best line is for declarer to win in hand and play another club. If West wins the Queen, the odds favour finessing the trump King. If East pops up with the ♣K, win the diamond return in dummy and play a third club. In case East follows, ruff high and play to drop the singleton spade King if it holds. If he shows out, ruff low and finesse in trumps! 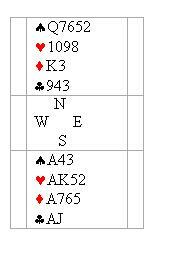 In the actual deal, East held ♠K ♥A96 ♦QJ107 ♣AK965. The next hand comes from a BBO team match littered with star players. EW were vulnerable and South landed in 4♠ after a 2NT opening since he judged that his club holding might be too fragile in a 3NT contract. The opening salvo is the ten of trumps by West. It seems like declarer is destined to lose two trump tricks unless RHO holds precisely KJ doubleton. Since there is a definite club loser, the hearts will have to be brought in without loss. Quite apart from the need to find ♥QJ onside, declarer also needs to ruff a club to arrive at 4 trump tricks, 3 heart tricks, the two top diamonds and club Ace. Recognising that the key to the hand was getting the timing right, the Turkish international ducked the first trick as declarer! 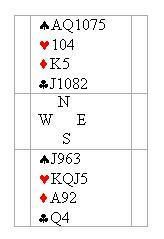 Now he won the trump continuation with the Ace and crossed to the ♦King. East needs to be kept out of the lead to prevent a third round of trumps being played, which highlights the need to lead clubs towards AJ. Clearly, East cannot hold more than one club honour if the contract is to have a prayer! West, a reputed American professional put in the King on the first round of clubs at trick four – to no avail. Declarer rose with the Ace and continued with the ♣J! West returned a diamond after winning the club trick. Now declarer executed the end-game with clinical precision. After winning ♦A, a diamond was ruffed and the ♥10 was led from dummy. East did well to cover but declarer was up to the challenge. Another diamond was ruffed and in dummy and the ♥9 was played with the intent of setting up the third trick in the suit. It is worth noting that the club ruff must wait till the third heart has been established, else declarer would have been an entry short. East covers again and now the heart 8 provides the link to the club ruff! 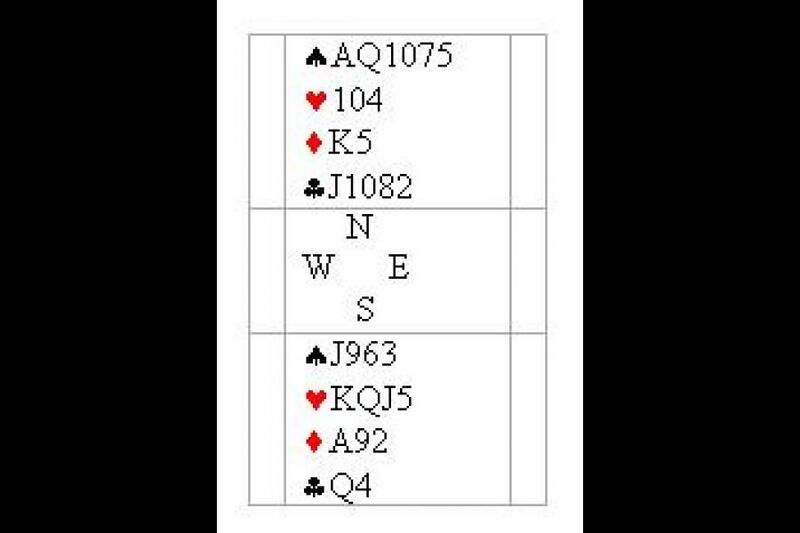 As an aside, East held ♠KJ8 ♥QJ73 ♦J1094 ♣K6. The old Turk had just shown what a star rating means on BBO!